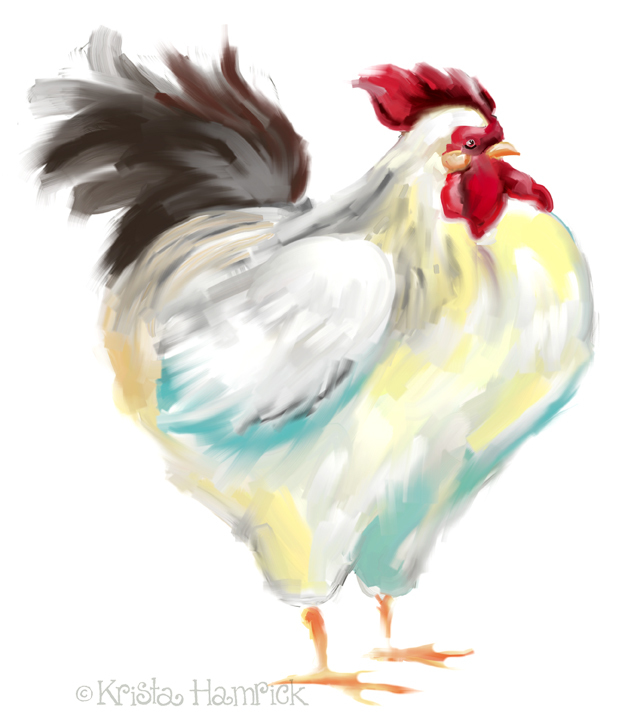 Another chicken using Painter. I’m not sure why I chose oils, since I haven’t painted in real life oils since college, but I do like the limited control I seem to have over them. Wow, another winner! I think this one would definitely win the blue ribbon at the fair. Look how wonderfully plump she is! I just love the softness of the strokes and colors. oh, she is pretty and proud. I can already see an improvement. See, you will be a master with painter in no time.